Are you interested in how DELTA Grants projects impact student success? Or how the partnership between DELTA and faculty members works? Join us for our DELTA Grants Showcase! 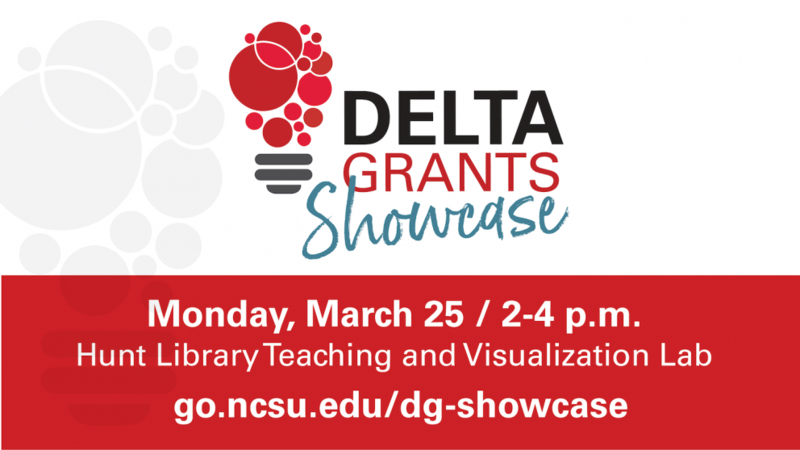 We’re hosting the Spring 2019 DELTA Grants Showcase on March 25, 2019, from 2-4 p.m. in the Teaching and Visualization Lab in Hunt Library. The event will highlight a variety of completed DELTA Grants projects through an interactive digital poster session. The event will give people across campus an opportunity to learn about the collaborative nature of the partnership between DELTA and faculty. The interactive digital poster session will show off visuals from the project as well as highlight challenges, solutions and outcomes. This is your chance to explore innovative learning activities for yourself. During the event, attendees will talk with DELTA Grant faculty members and DELTA staff about their experiences collaborating together and the ways these grant projects have impacted student success. Join us to learn more about DELTA Grants projects from a variety of colleges. 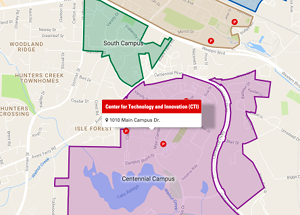 Visit go.ncsu.edu/dg-showcase for a list of projects available to explore. The event is free and open to the university community. Please email Cathi Dunnagan with questions. The 2019-2020 DELTA Grants submission system opens April 8. The RFPs will be released March 11 with information sessions and group consultations occurring in March and April. Visit go.ncsu.edu/deltagrants for more information.